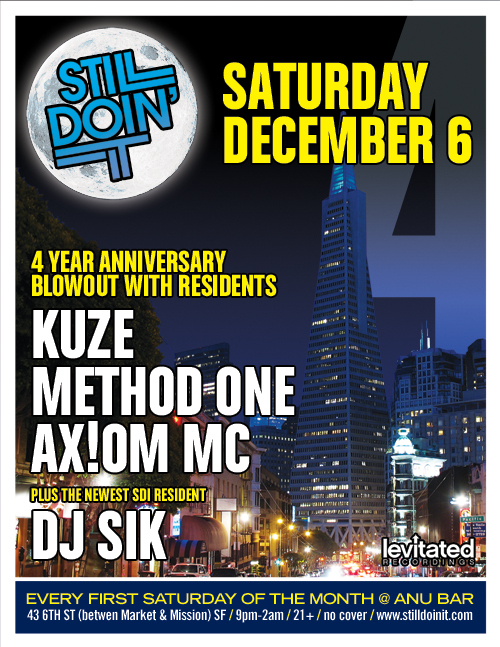 Providing San Francisco with the sounds of deep drum & bass since 2004…and yes, we’re Still Doin’ It! This month we celebrate our 4 year anniversary with a showcase of our current and new residential talent. Posted in: Events, Still Doin' It. Bringing the sounds of deep and sensual drum & bass to the San Francisco Bay Area. Join us the first Saturday of every month at Anu: 43 6th Street in San Francisco. Saturday, July 4: All-Vinyl Night!